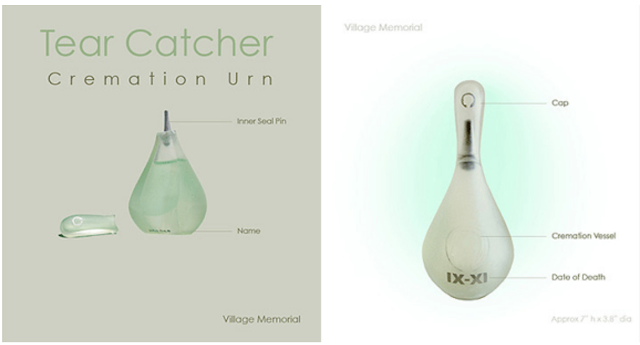 As tear catchers have fallen away from use in contemporary mourning ritual, we developed the concept for a dual purpose urn incorporating tear catching so as to revive interest in the homage. 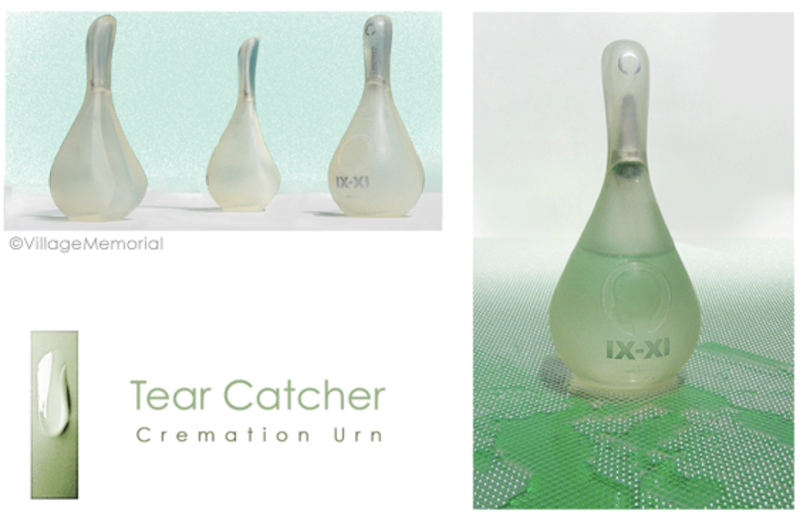 Tear catchers (aka tear bottles, lachrymae) have been used in mourning ritual by the bereaved for thousands of years. The tradition has evolved from antiquity with Egyptian pharaohs, Persian sultans, Roman warriors, wealthy Victorians to Civil War relics displayed in museums around the world in every culture and religion. In fact, reference to collecting tears in a bottle can be traced as far back as to Psalm 56:8 where David prays, "Thou tellest my wanderings, put thou my tears in Thy bottle; are they not in Thy Book?" Our original design surrounds a loved one's remains with actual tears. The grieving becomes part of the memorial art making process which is visible in the final piece. As the prototype could not be made by hand we used a combination of SLA Stereolithography 3D printing that brought together modern rapid prototyping techniques with ancient tradition. The culmination of which is in this smooth organically shaped tear form crafted in a pearlescent glazed glass-like finish. Rather than utilizing old methods from traditional tear catchers (placing one's eye into the bottle opening or wiping ones face with the bottle), the inner tear bottle stopper is fin shaped in order to be removed from the bottle and used for cleaving tears from ones face. This design collects more tears, while being both more comfortable and private for the mourner. Our bottle is also much larger than traditional lacrymatories. This is because we designed the bottle with a reservoir similar to a dolls “refilling milk bottle” which spreads the tears across the face of the bottles inner body rather than pouring its volume into the larger cavity of the vessel. 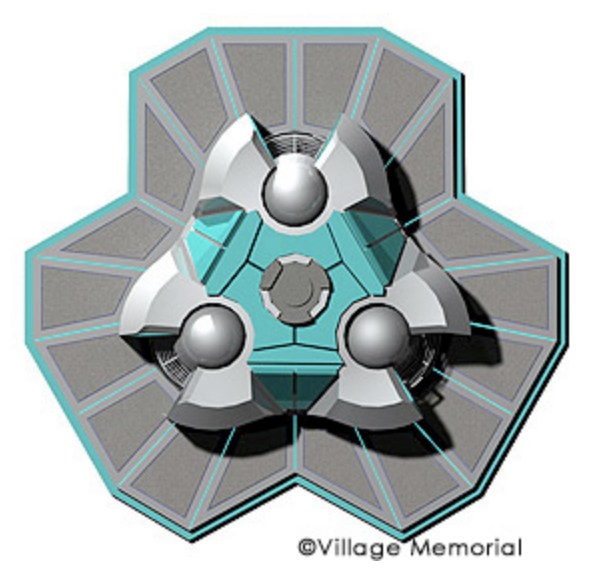 The result is a memorial object that is much more unique, impressive, distinctive, beautiful and personal. Approximately 200 tears will fill the ½ oz tear reservoir. 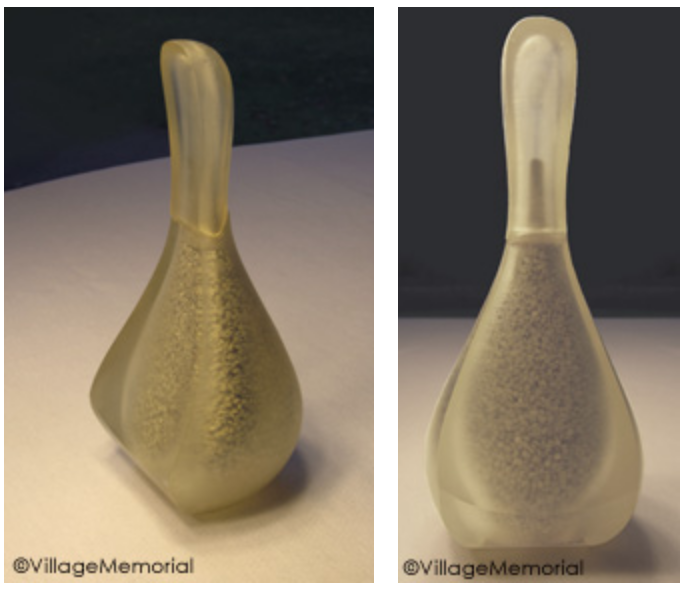 As shown, the urn is translucent which allows one to see the cremated remains inside. A funeral is a collaborative work of performance and art. The funeral is a time for family and friends to support one another, and share intimate memories. A misconception is that a funeral is solely for those who are religious. It is as much a moment of reflection as it is a series of events providing tasks and activities to undertake as an expression of feelings. It is important to note that as much as we grieve for our dead, attending a funeral is just as much about weeping for ourselves. 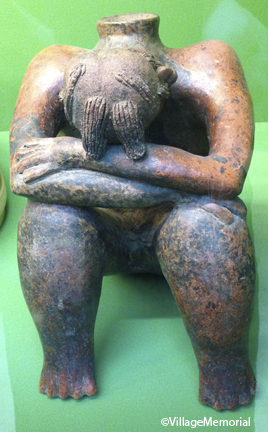 Roussell, describing anticipatory grief writes, “some people have feelings of guilt and anxiety over having too little time to settle issues and put things in order for their loved ones.”1 For others, attending a funeral establishes emotional stability and security through the unspoken promise of reciprocation. What do you hope people will remember about you after you die? Funerals offered communities the chance to support to one another. For example, in a scene from the French motion picture “Amelie,” the lead character daydreams about her own funeral. She watches the procession on television and weeps at the sight of people mourning her death. We can identify with this girl. We are at center of our own universe and therefore secretly wish for others to mourn our own deaths. 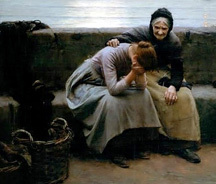 The funeral rite gives us the opportunity to act for others as we would wish them to act for us. When we grieve for others, we subconsciously grieve for ourselves. We want our presence to be missed, our deaths to be mourned, and for a death to have meaning. It explains why we host lavish funerals and grand memorials. We yearn to be remembered. Our lives must have had held some meaning. Attending a funeral reminds us that we will someday merit the same honor, respect, and display of affection. To not hold a funeral is not to observe this sacred pact. 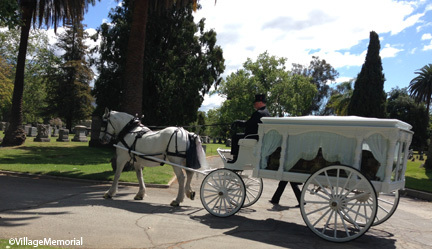 Do you have special plans or hopes for your own funeral? ¹ Roussell, J.O. (1999). Dealing with Grief: Theirs & Ours. Staten Island, NY: Alba House. When a person dies, the world seems to continue right along as though nothing has happened, and to the bereaved this experience can be isolating. A funeral director helps the family by making sure that their beloved is cared for and honored while facilitating the organizational and legal aspects of the arrangements. According to Worden, “often the immediate family members are in a dazed or numb condition and the service does not have the positive psychological impact that it might have.”2 While this can be an issue, these families still benefit from just being with those support them through their loss. They want to be comforted. They want to be with those who understand their loss. The funeral is a supportive place to show respect for the dead, and surviving family and friends. Do you think Americans need to be more open to public displays of grief? 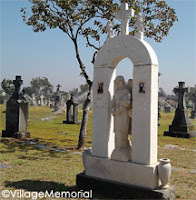 The funeral home and or cemetery are the socially acceptable places for mourning. This leaves Americans with few places where it is acceptable for grief to be displayed openly. In American culture, we are taught to hold back public display of pain so we do not make others uncomfortable. We are encouraged to shed tears privately, out of sight. This can create disenfranchised grief. Worden recommends, “some type of ongoing contact with these families might be considered for the purpose of grief counseling.”2 The funeral meets a family’s spiritual, psychological, and social needs as they share the pain of losing someone loved. The funeral rite gives us a universally understood social tradition to observe for coming together. Thus, the funeral is one of the few events where people are not judged as harshly for showing emotion. This makes the funeral director's job of creating conducive atmosphere for healing all the more important. By offering the bereaved a place to address these feelings, funeral directors help to facilitate grief and allow survivors to find meaning through the funeral rite. How have funeral directors helped you or a loved one? It's Valentine's Day, and for most people it signifies a time for romance, sweet gifts, and happy couples enjoying a day that focuses on love. But what about a surviving spouse, family member, friend or partner of one who has already died? Holidays provide a perfect opportunity to reflect on the memories that keep a loved one alive in spirit. While some like to visit friends or family to reminisce, others enjoy looking through old photos or reading old letters. Visiting a favorite and memorable place, special to your loved one, can also be a thoughtful way to spend the day. Visiting the cemetery to remember a loved one by cleaning the grave, dropping off flowers, or just spending time, is another meaningful choice. Whatever you decide to do this Valentine's Day, remember your loved ones, living and past, and have a Happy Valentine's Day. 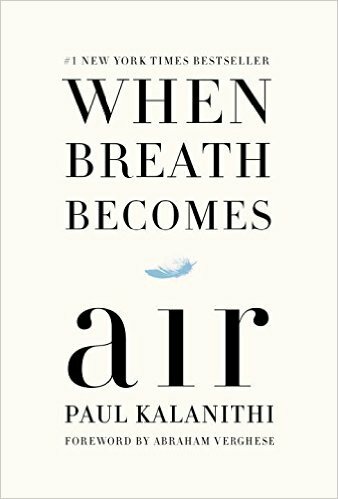 Paul Kalanithi's book, "When Breath Becomes Air" takes a deep look at what it's like to have a terminal illness and to explore one's own mortality. "Severe illness wasn't life-altering, it was life-shattering." Paul's perspective on mortality is colored by his years as a talented Neurosurgeon, having to often face the terminal diagnosis and life-or-death choices his own patients have faced. "Like my own patients, I had to face my mortality and try to understand what made my life worth living." He shares with us a glimpse of life in medical school, and notes how it "sharpened my understanding of the relationship between meaning, life and death." And he poses important questions like, in the face of terminal illness, "What makes life meaningful enough to go on living?" As a neurosurgeon, Paul's decisions must be made cautiously and with compassion. "Life and death decisions and struggles...surely a kind of transcendence." He shares the challenges of helping families make important decisions, such as, considering what the patient might want after a traumatic brain injury, "an easy death or to struggle between bags of fluids going in, others coming out, to persist despite being unable to struggle." 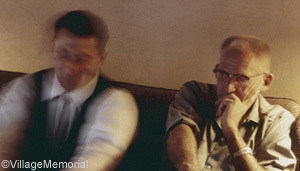 Paul describes his role not as "as death's enemy, but as its ambassador." "The call to protect life -- and not merely life but another's identity; it is perhaps not too much to say another's soul -- was obvious in its sacredness." This book read quickly and Paul's part was most eloquently written. We learn a lot from Paul, his compassionate care, and his journey through acceptance of his own mortality. Have you helped a friend or loved one face a terminal diagnosis? What was the most important lesson you learned? 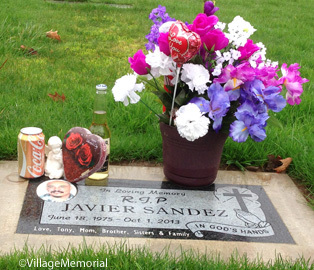 Graves don't necessarily correspond to headstones, and headstones can be lost or missing. In older cemeteries, changes of ownership and poor record-keeping can make it difficult to determine the locations of unmarked graves. Grave detection instruments are therefore used to locate graves without disturbing them. Grave detection instruments are also utilized when cemeteries seek to expand into older parts of the cemetery. Locate hidden or unmarked graves at old historic cemeteries using this ground-penetrating detection device. Scan for vaults and coffins. 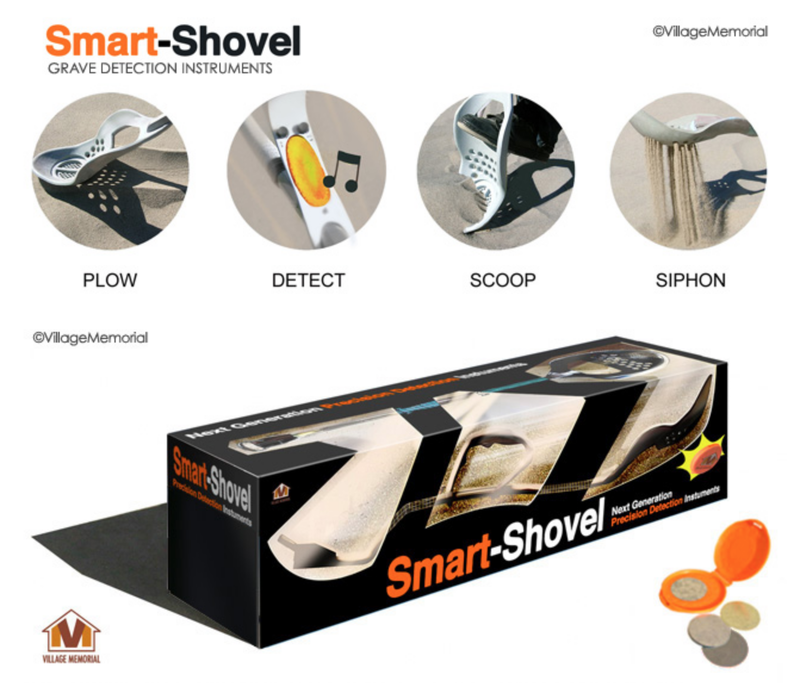 The smart shovel is a rugged portable locating device. The smart shovel is a geophysical instrument for locating buried human remains. Additionally the device can be used for locating underground markers, lost treasures, and ferrous objects. The device works best in sandy soil often found in flood situations, and produces limited results around rocky terrain, tree roots, and heavy vegetative cover. In order to preserve our historical record and sacred sanctuaries, Village Memorial is developing the smart shovel to locate graves, coffins, vaults, and headstones wrought from natural disaster or disrepair. This product has a wide range of applications aiming at developing new techniques for finding old, unmarked, damaged, destroyed, or removed graves in cemeteries with affordable noninvasive ground penetrating radar detection. In flood situations, sand soil and debris can upturn, relocate, or conceal cemetery graves and and irregular landscapes of strewn debris may necessitate handheld devices to circumnavigate terrain. Hand held cemetery search devices allow searchers to visualize what lies beneath the surface of the ground without major excavation. G.P.R. - Ground Penetrating Radar identifies unmarked graves by sending microwave radiation signals deep into the ground . Similar to a cellular phone signal, G.P.R. records cross sectional differences in radar beam signals to tell you where things are. Differences in the soil, tree roots, gopher or tortoise holes or graves can all be mapped. Bodies buried naturally are identified by targeting belt and boot buckles. Once the grave site is located, rod probing can be employed to certify the location of a grave. 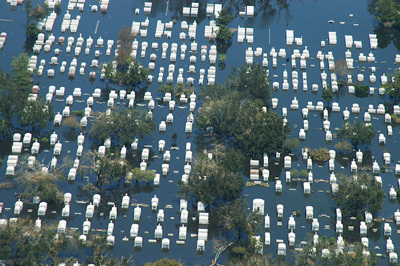 During Hurricane Katrina, graves were displaced. Japan's 2011 Tohoku earthquake and tsunami moved graves miles from their original location. Most recently, Hurricane Sandy displaced casketed remains in Crisfield, Maryland. Different materials have variable specific densities reflecting energy in different ways. *Note: Cemetery Prospecting at a historic cemetery battleground is illegal. This product is intended for locating graves, not treasure hunting. Sterilization ensures preservation, safety and integrity of these valuable tools. 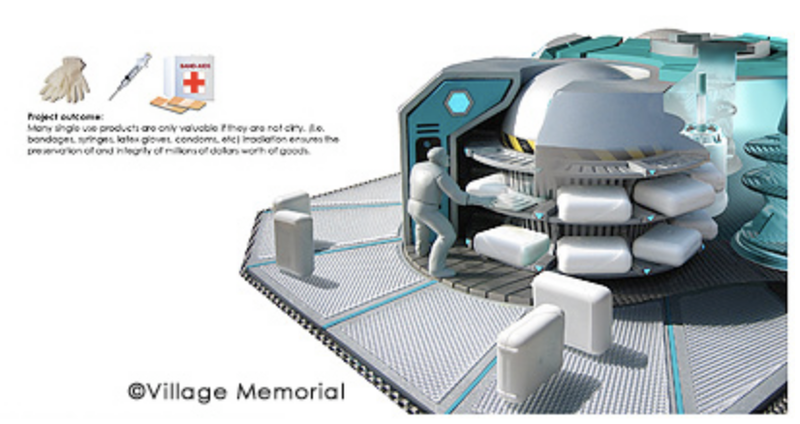 This project competed in the "Create the Future" Design Contest from Tech Briefs in 2011. See the entry details on their site. Fear of death is ubiquitous. What precedes death is as unwelcome as one's prospects in the afterlife. 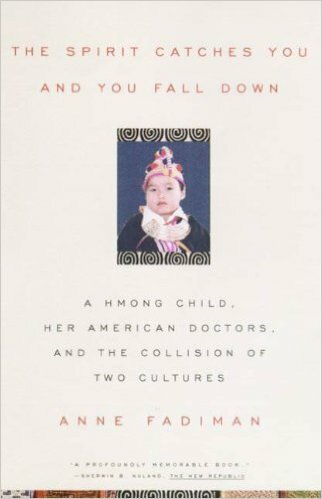 In Anne Fadiman's book, “The Spirit Catches You and You Fall Down, A Hmong Child, Her American Doctors, And The Collision Of Two Cultures”, she describes the rituals and traditions of the Hmong people. Central to Ms. Fadiman's theme in the book, is the fact that the Hmong are a death-denying culture. Death is not acknowledged by the Hmong and they cannot speak of it. The Hmong use beliefs and rituals to help redefine the problem of mortality. Dressing of the body in special garments. Ideally, funeral garments are brought to a terminal person in hospital. The belief is that if the dying person is not dressed properly before death, once they die the family will always dream of the deceased as being unclothed or naked. Honoring the deceased with animal sacrifices. The animals are often live chickens, calves and/or pigs which are expected to be companions in death for the deceased. Spoken guidance of the deceased back to the place where one’s placenta is buried. Carrying the deceased on the shoulders. To not carry a deceased relative on their shoulders is considered disgraceful. Burial on a sloping mountain. The Hmong believe that not burying the dead is terrible. Hmong funeral tradition emancipates the deceased’s spirit. Performing death rituals helps to relieve death anxiety and provides opportunities to feel positive about having completed a folkway or custom on behalf of a loved one. 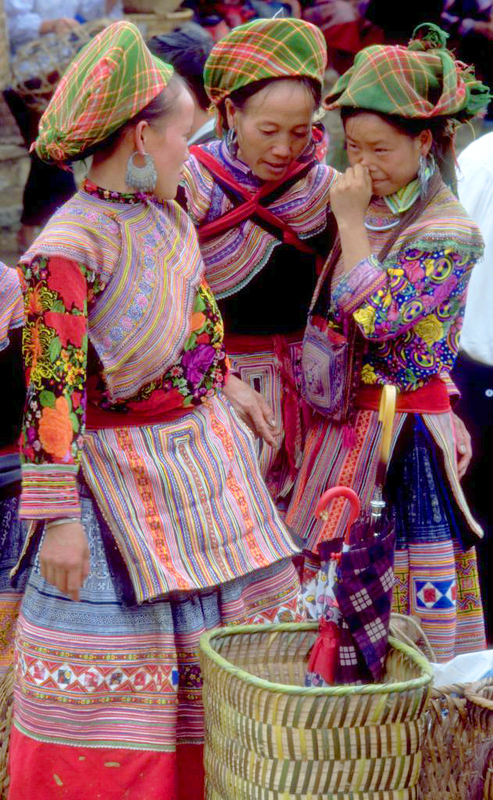 After death, the Hmong ask their deceased ancestors for guidance as a sign of respect. Benevolent spirits summoned home secure good fortune for family in the coming year through a “Soul calling ceremony”. Remembrance of the deceased in dreams also helps them deal with their death. The Hmong believe that their fortunes are divined by interpreting their dreams. Sadly, some Hmong living in America fear they will not receive a proper funeral ceremony that respects their cultural rituals or that they may not find a good burial space here. For these individuals this can be more important than any other thing in the world, and thus these families opt to send their deceased loved ones back home for the funeral. Further death denial by the Hmong people has extended to taboos against modern medical practices including avoidance of blood tests, spinal taps, surgery, anesthesia, and if possible, autopsies as well. Avoidance of these activities distance Hmongs from harm and thus death. Hmong families fear leaving loved ones in hospital and their rooms are usually crowded with family members. The hope is that by demonstrating love, the loved one will be spared from death, either in the physical world or symbolically. To be revered by one's family is wealth, and this love for a family member is seen as a barrier against death. A doctor should never tell a Hmong family that a child is going to die. They do not understand the different tenses such as “you will die”, “you may die”, “you could die”, or “it would be better to die”. They believe it makes death come closer to the child. It means that the speaker of such words plans to kill the person, because how would he/she know otherwise. Therefore, prognosis is read as a threat and any reminders of a terminal designation could bring relatives of a terminally ill patient to act aggressively. Instead of saying, “when you are dead,” to the Hmong say, “when your children are 120 yrs old", as this conveys the magnitude of the situation while allowing the family to avoid confronting death openly. Do you or your family have beliefs that shape your feelings about death? What funerary rituals do you find comforting or helpful? Cadaver Dog Gear as shown here includes a Kevlar Jacket for high visibility. This luminescent ballistics canine vest identifies and protects service dogs. 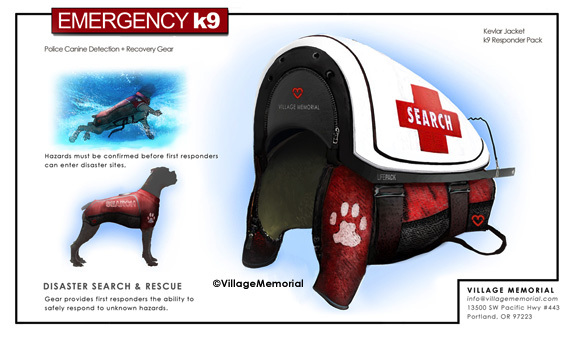 Also shown is the K9 Responder Pack, a waterproof hard shell "turtle pack" comfortably transports first aid materials, instructions, and communication to survivors in disaster zones. Emergency response is a dangerous job. This high visibility K9 prismatic ballistics wear allows moisture from sweat and heat to escape. Retains reflectivity when wet. 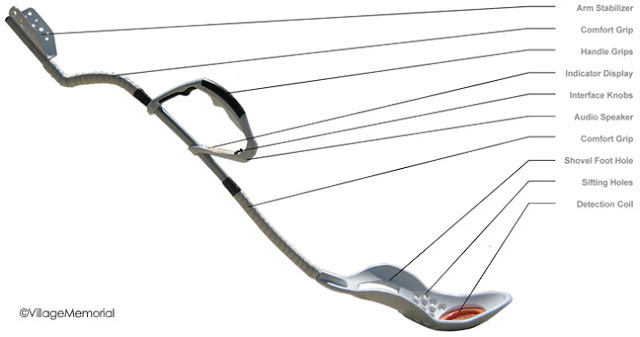 Light weight, adjustable loop closures prevent snags. Rugged hard shell hydration pack affords an expandable zipper waterproof sealed pocket for transporting first aid trauma kit, radio gear and DIY life saving instructions. Reflective straps with adjustable non corrosive metal buckle for custom fit. Trauma gear included: Burn gel, wound sanitizer, cold compress, trauma pad, bandages, blood stopper, etc. 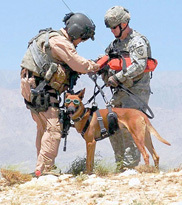 The benefits to K9 recovery gear is that it: improves response time; enables the safety of first responders; augments intel, retrieval, and delivery capabilities; and it protects the Search & Rescue animal from hazards when put at risk in dangerous situations. When a disaster occurs, such as a tornado, building collapse, landslide or earthquake, it may take as long as an hour or more for first responders to arrive. 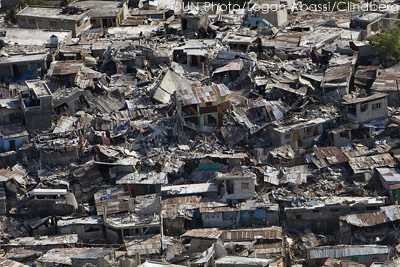 Law enforcement investigators must search to locate victims of disasters. Victims are often scattered, buried, or concealed. An additional delay in response time can occur when there is a need to identify an unknown danger (such as an act of bio-terrorism). The goal is to ensure human safety when entering treacherous or heavily contaminated areas. 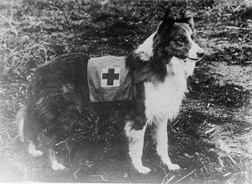 Search and rescue dogs can provide assistance when the environment is difficult, dangerous or time consuming. 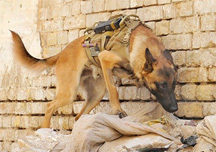 Oftentimes, search and rescue dogs can go and help when and where humans can't. When an area is deemed too dangerous for human first responders to enter, there is a delay in response. Each contaminated disaster area must be confirmed first. Then backup is called. Then teams are deployed. Then decontamination stations are set-up. After that, once responders are geared appropriately, then can begin the response efforts. This may occur hours later and the lost time can mean the difference between life and death. K9 teams are trained in a variety of tasks including: Tracking, Trailing, Patrol Utility, Area Search, Search & Rescue Area Search, Building Search, Explosive Detection, Accelerant Detection, and Cadaver Search. 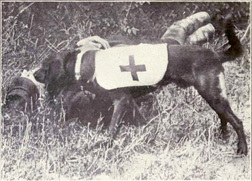 K9 First Aid Dog The goal in using emergency rescue dogs, is to take advantage of a their specialized senses, size, and weight to find disaster survivors and remains in rubble. 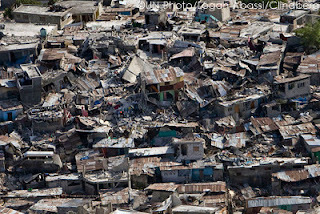 All this work can take place before responders are ready and able to enter a disaster area. Most notably, it is done without endangering human responders. 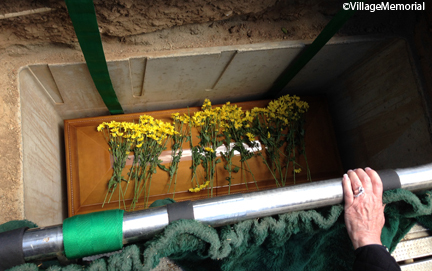 My mother, still wearing her wedding rings, overlooking my stepfather's casket at graveside. This week, photographs of Celine Dion at her husband René Angélil's funeral show her removing their wedding rings from a "ceremonial pillow" atop his casket and then placing both of their wedding bands on her finger. There are a variety of religious and ethnic customs surrounding funeral services and also with relation to what happens to the couple's wedding rings after death. Wearing your wedding ring on the ring finger of the opposite hand. Wearing your wedding ring on a chain as a necklace pendant. Discontinuing wearing any wedding rings. When deciding what to do with a spouse's ring who has passed, this too can vary depending on each family and/or culture's traditions. Some feel it's most proper for the spouse to be buried with his/her wedding ring that he/she always wore during life. The ring may be kept and given later to a child or grandchild as a family heirloom. The surviving spouse may decide to wear both rings (his/her own plus, the ring of the spouse who has passed); sometimes wearing both rings on the same finger. Something to keep in mind is that if your spouse has chosen cremation, jewelry, like wedding rings, will melt down and become destroyed during the cremation process. Thus, you must decide if you wish for the ring to go with your spouse/partner when he/she is cremated. Of course, most decisions are made by what is most comforting to each individual, and thus customs and traditions will vary from person to person. Have you any advice or comforting tips to offer a surviving spouse when it comes to wedding rings after the funeral? If a spouse/family member chose cremation, what did your family decide to do with his/her wedding ring(s)? Many people find writing a eulogy to be a daunting task. 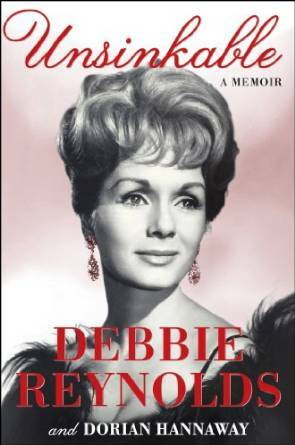 An interesting eulogy was found in the book written by Debbie Reynolds, "Unsinkable: A Memoir". In the chapter where she discusses her parents end of life wishes and their funerals, she mentions how her daughter, Carrie Fisher, wrote a touching tribute to her grandfather (Debbie's father). As Ms. Reynolds says, "When Daddy died, Carrie wrote a tribute to him that captured so many of his wonderful qualities." sprinkle in dome "Dear Lord"
it fills us up real fine." We thought this idea of a "recipe" made the eulogy a simple and fun way to include all of a friend's or loved one's cherished qualities in an easy to read format. Have you ever been asked to write or have you written a eulogy? What helpful tips can you share?